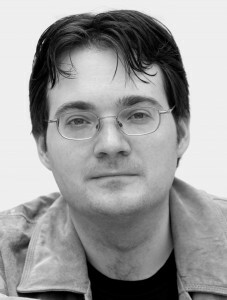 Brandon Sanderson has been one of the exciting new names in Fantasy fiction over the past eight years—commencing with the successful publication of Elantris in 2005, being asked to complete Robert Jordan’s epic Wheel of Time series in 2007, and most recently winning this year’s Gemmell “Legend” Award for The Way of Kings. So when Ruby Mitchell of Hachette mentioned the possibility of an interview I was delighted to have the opportunity—and am equally delighted to welcome Brandon today. Hachette have also provided two copies of The Alloy of Law for giveaway—details are provided below the interview. Helen: Brandon, to leap right in, you’ve written a considerable body of Fantasy, with standalones such as Elantris and Warbreaker, the Mistborn trilogy, The Way of Kings (Book One of The Stormlight Archive) and most recently The Alloy of Law—as well as being asked to complete Robert Jordan’s long-running Wheel of Time series. Although almost all these works are in the epic/high quadrant of the fantasy compass, there is also considerable diversity in the stories—and all are well regarded. So what, for you, is the “core” to writing compelling fantasy? Brandon: That is a really hard question to answer. Do you emphasize with the fantasy, or not? A really great story is going to be about awesome characters that you fall in love with. Beyond that, it’s going to need a really great plot. You can’t separate these things from writing a great fantasy, because while I think the worldbuilding needs to be really cool, if you have terrible characters and plot, it doesn’t matter how good your worldbuilding is—you’re not going to have a good story. That said, the core of writing great fantasy as opposed to other fiction, assuming that you’re already doing the plot and the character right, is to get down to that idea of the sense of wonder. What is wonderful about this place that would make people want to live there, or be fascinated by it? What’s going to draw the imagination? Fantasy is writing books that could not take place in our universe. For me, that’s the dividing line. In science fiction there’s the speculation: “This could take place here,” or “This may be extrapolating science beyond what we know, but it could work.” In fantasy we say, “No, this couldn’t work in our ruleset, our laws of the universe.” Really focusing on it is what makes the genre tick. So you have to do that well. Brandon: I became a fantasy writer because of the great fantasy books I read. Other books didn’t do it for me. As a young reader (I didn’t really like to read), the first powerful fantasy book I read—Dragonsbane by Barbara Hambly—drew me in, captivated me, and took me to this place that could not be but that I wished could be. Nothing else excited me on that level, so that’s why I write fantasy. Helen: Dragonsbane is a longstanding favourite of mine as well. And I recall first reading The Eye of the World, the opening novel in Robert Jordan’s Wheel of Time series, at about the same time. Being asked to complete such a famous series following Robert Jordan’s death was a great honour and compliment to your own writing. But did it also feel like a tremendous responsibility? In the end, I felt I could do a good job on this, and that it could be a sendoff I could give one of my favorite authors, someone who deeply influenced me as a writer. And I felt that if I passed on it, someone else would be found and would get to do it. The question that it came down to for me was, “Knowing that someone who is not Robert Jordan is going to do this, can you really pass and let anyone other than you do it?” And the answer was that I couldn’t let someone else do it. I had to do it. So I said yes. Helen: As well as the Wheel of Time novels, the first instalment of what you have called your own “grand epic”, The Way of Kings (Book One of The Stormlight Archive) was published in 2010 and this year won the Gemmell “Legend” Award for Best Fantasy Novel of the Year. Was there any particular significance for you in winning the award for The Way of Kings? Brandon: Sure. First off, The Way of Kings is the book of my heart—the book I’ve been working on for years and years. For example, it has a character in it who originated in the very first novel I tried my hand at as a young teen. Finally having this book come out is extremely fulfilling, and having people enjoy it as much as they have is even more fulfilling. Specifically with the Gemmell Award, I’d lost the award two years in a row—in fact I’d lost three times in those two years, since I had two books nominated one of the years. Finally winning was extremely gratifying and a really big honor. Plus the actual award itself is a battleaxe. That is the best award ever. Helen: The Alloy of Law is newly out and returns to Scadrial, the world of your Mistborn trilogy, but rather than the medieval milieu of high fantasy, instead comprises a late 19th century world of steam trains and industry. This sounds like steampunk, but The Alloy of Law is also very much a “western” in feel, with a former gun-toting Roughs (Wild West) lawman, Wax, returning to the urban metropolis—yet still ending up fighting the bad guys with his wise-cracking buddy, Wayne. So was that fun to do, blending the genres? And what led you to explore that path with your Mistborn world? Brandon: I’ve said that what I love about fantasy is that it can do anything any other genre can do, plus have that added sense of wonder. So I’ve wanted to explore different types of what fantasy can achieve. The steampunk movement is awesome for doing this. I don’t actually consider this book to be steampunk, because the Victorian feel and steam technology aren’t there, but it certainly is a cousin to what is happening in steampunk. At its core, really what I’ve done is write a detective novel. A buddy detective novel set in an early 1900s industrial age equivalent, in a fantasy world where the epic fantasy that I wrote as a trilogy (Mistborn) has become the mythology for this new world. That concept excited me. What made me do it? The idea that I could, and that I hadn’t really seen it done before. That’s what fantasy is all about. Helen: The Alloy of Law also deals with the influence of commerce and industry on events, an element I found in Daniel Abraham’s The Path of Dragons as well. Do you see this as a new trend, broadening the traditional fantasy scope—or is it something that has always been part of the mix? Brandon: I think it’s always been part of the mix. Dune, which is one of those hybrid fantasy/science fiction books, is all about this, and is—I would say—the great example of this. It’s the foundation for a lot of modern science fiction and fantasy. A fantastic book, and it deals with the idea of how commerce affects a fantasy and science fiction world. So I don’t think it’s a new trend, necessarily, but what is a new trend in fantasy is digging into nonstandard (for the genre) types of plots. Moving away from the quest narrative and focusing more on political intrigue, or focusing on the effects of different fantastical elements on a world and its economy. Basically, George R. R. Martin is going this way too, and he’s been doing this for 15 years so I can’t say that it’s a new trend. But it certainly is an exciting direction for the fantasy genre. Helen: Magic systems are a strong part of both the Mistborn books, with their allomancy and feruchemy, but also of the Stormlight world, with its fabrials, shardblades and voidbinding. Do you spend a lot of time developing the magic system before you begin writing, or does it tend to evolve with the story? Brandon: I spend a lot of hours ahead of time on my magic systems. I am a planner when it comes to worldbuilding. Of course, everything’s going to evolve as you work on a book—nothing can be planned out perfectly; there needs to be some freedom, some improvisation to really bring life to it. But I do plan things out a lot, specifically my magic systems. This is a big focus to me, partially because it’s become one of my big calling cards in the genre. It lets me add something different, my own take. Granted I’m not the only one who does interesting magic systems, but it has become one of the hallmarks of my writing, and so that’s fine with me because it’s something that I love to do. Helen: Elantris and Warbreaker are both standalone novels, but the greater body of your work comprises series. Should this be interpreted as a preference for the series form or do you enjoy both equally? Brandon: You can indeed interpret that as a bit of a preference. I grew up reading the big classic fantasy series like the Wheel of Time, and I don’t think you can do that as a writer like myself without developing a deep fondness and a desire to write your own. So I would say a slight preference, but some of my favorite books are standalones, like Tigana by Guy Gavriel Kay. I do think that the form of the standalone epic fantasy is a really cool one, and one that I want to experiment with more, and one that I like a lot. So while there’s a slight preference, I wouldn’t say that it’s a deep overriding preference. I do what feels right for me for any given story. Brandon: One of the things that you have to remember is that I wrote Elantris back in 2000, so I have a much bigger head start than it looks like. I sold Elantris in 2003, and had all of 2003 up through a big part of 2006 to write the Mistborn trilogy before the first book of that came out. So what you’re seeing is my big head start that I had by having that book already done, then launching right into the trilogy. I don’t think I write faster than any other fantasy writers, but I do write a lot. I love to do it; I spend a lot of time doing it, and it’s one of my favorite things to do, to tell these stories. So if you want to bottle it, all you really do is spend ten hours a day writing, and boom, you’ve got it. But it does look more impressive than it really is, because I have those extra years. A lot of the years where I had two books come out, I had written one much earlier and the other I wrote the year before. My popularity has made my publishers start increasing the publication schedule of some of my books, so you get overlap—a book I wrote long before and then a book I’ve recently turned in come out at the same time, because when I turn in the new book they want to publish it as soon as I can. So that’s why this year, for instance, we only have one book—The Alloy of Law—and it’s a very short book. That’s because the publication schedule finally caught up to me. Helen: Brandon, it’s still a very impressive achievement—and I’m very pleased that you’ve been able to make the time in such a busy writing and touring schedule for this interview. It’s been a great pleasure having you on the blog today and I look forward to reading the next instalments in both your Stormlight Archive and Mistborn series. Brandon Sanderson has published seven solo novels with Gollancz—Elantris, the Mistborn books, Warbreaker, and The Way of Kings—as well as four books in the middle-grade Alcatraz Versus the Evil Librarians series from Scholastic. He was chosen to complete Robert Jordan’s Wheel of Time series; 2009’s The Gathering Storm and 2010’s Towers of Midnight will be followed by the final book, A Memory of Light, in 2012. 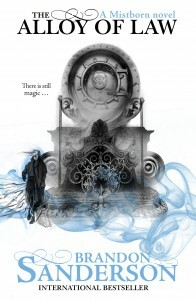 His newest Mistborn novel, The Alloy of Law, was released in November 2011. Currently living in Utah with his wife and children, Brandon teaches creative writing at Brigham Young University. Helen Lowe is a New Zealand-based novelist, poet, and interviewer. 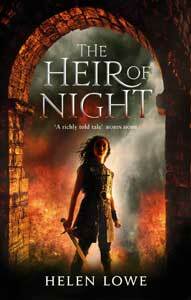 Her latest novel, The Heir of Night, the first of The Wall of Night quartet, is published in the USA, UK, Australia, New Zealand, and The Netherlands; forthcoming in France and Germany in 2012. Helen has twice won the Sir Julius Vogel Award for Excellence in SciFi-Fantasy, for Thornspell (Knopf) in 2009 and The Heir of Night in 2011. Helen posts every day on her Helen Lowe on Anything, Really blog, on the first of every month on the Supernatural Underground, and occasionally on SF-Signal. Brandon Sanderson’s publisher, Gollancz (Hachette), has donated two copies of The Alloy of Law to to be drawn as a giveaway from amongst Australian and New Zealand commenters on this interview. The giveaway will remain open until 12 midnight, Thursday 8 December (NZ time), with the winner announced on the morning of Friday 9. Just leave a comment to go in the draw—and don’t forget to check in Friday to see if you’ve won. The draw will be made by Random Number Integer. The giveaway closed at 12 midnight on Thursday 8th and has now been drawn: you can check out the result here. If the winners could please contact me via my website, contact[at]helenlowe[dot]info with your postal addresses, I’ll get the books in the mail to you asap. If I have not been contacted by this coming Wednesday, December 14 (NZ time) then I will redraw. I wish I could ‘like’ the first post by Aimee too… Totally agree with everything you said. Ha, this is excellent! I’ve been desperately wanting to read Alloy of Law but I couldn’t really justify buying it, so this is, like … leaving it to FATE. Which is. Slightly more exciting. Good interview, asks good sound questions. And of course anything regarding Brandon Sanderson is awesome automatically. <3 And yeah, definitely check out Writing Excuses – it's a fantastic resource, the perfect thing to get you in the writerly mood; also just entertaining and enjoyable and clever. Thanks Helen/Brandon. 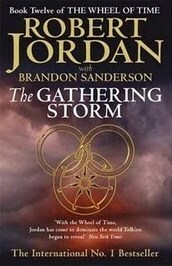 I’m one of those who have been swept along in the transition from Jordon’s pen to Sanderson’s. From a Wheel of Time perspective that experience has been seamless with admirably consistent tone and, given the size of the project, a very tight dramatic arc. Probably my greatest delight in Brandon’s other books has been the mechanics behind his worldview. I love knowing how magic works, not just that it exists. In this area, Brandon is favourably compared to some of my long-time favourite authors like L.E. Modesitt. I’m actually a Robert Jordan Wheel Of Time series fan, brandon sanderson has been doing a great job finish up this epic, that it’s made me want to read his own books, probably start with the mistborn series when i can lay my hands on a copy. I started reading Sanderson when I came across The Way of Kings and I was immediately a fan due to the style of writing and of course the topics he writes about. I am sure to be into all of his works and eagerly await each and every of his releases. I have already promoted his works among friends who are into the fantasy genre and will continue to. Thanks Helen for having such a great interview with this talented author. I cant wait to sink my teeth into Mistborn next!! Thank you all for enjoying the interview and for continuing to say so! :) I enjoyed putting it together, in particular becsue of Brandon’s thoughtful and in-depth replies to my questions. Fascinating interview. Thanks for taking the time to speak with Brandon and to share his view with all of us. Thank you for such an interesting read, great interview with an author who’s books I relish. Please please keep up the good work – both of you!! !